The healthcare landscape is not just changing— it is evolving. Each year, there are mergers and acquisitions between hospitals, clinics, and other facilities which have a resonating impact throughout the entire industry, and there is no real sign of slowing down. However, one of the most common problems with this emerging trend is issues with network integration. When two completely different corporate networks try to share data, it can lead to the creation of “blind spots” in their network, leading to more complications and security issues further down the line. By assisting healthcare organizations with preserving and transferring data in a secure manner, 1SEO Tech is poised to help them stay organized through seamless transition processes and implement streamlined operations. Organization leads to protection—it is that simple. “Our team uses innovative and sophisticated strategies, incorporating new technologies to mitigate risks, all while staying one step ahead in this ever-changing industry,” says Scott Fcasni, President of 1SEO Tech. Another major concern is the expanding use of mobile devices and networks by healthcare workers. Improper usage can have various consequences, including fines, damage to an organization’s reputation, and most importantly, a failure to protect patients’ rights. 1SEO enables healthcare providers to harness the potential rewards of mobile devices while safeguarding them from potential security implications. 1SEO uses a multi-pronged approach when dealing with and preventing these types of attacks. The company implements defensive strategies, like training end-users on best practices, ensuring security measures at every potential access point, and implementing automated defense systems that monitor networks and activity, 24/7/365. “We even employ machine learning tools to detect and analyze potentially suspicious behavior to prevent hacking attempts, stopping them dead in their tracks,” Fcasni adds. At the outset, 1SEO works with clients to assess their needs from an IT standpoint, after which they provide the best-customized recommendations to achieve key business objectives. 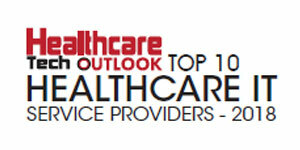 Other industry-specific considerations, such as HIPAA compliance, are taken into account. “Our team sets up a sophisticated network architecture for file sharing in which only certain people have access to certain files to maintain data security,” explains Fcasni. In one instance, a biotech organization specializing in clinical-stage pharmaceuticals which, following their acquisition, struggled to deal with a confluence of technological inadequacies. This organization faced a slew of problems—from compliance conflicts to an extraordinary lack of information security. 1SEO got to work honing in on security and compliance, reaching out to managers and executives to recover and reset access to sensitive information. “We equipped them with technical issue reporting protocols, and a list of secondary passwords to allow them to recover and reset access immediately if needed. We also provided them with assistance when they upgraded their systems earlier this year,” adds Fcasni. With 1SEO’s expertise in place, the client successfully recovered and became a protected, secure, and thriving biotech organization. Today, the company continues to work with this client to ensure 21CFR part 11 compliance. The advantage for healthcare companies working with 1SEO is its dedicated team that is experienced in the biotech and healthcare sectors. Having a deep understanding of healthcare organizations’ mission, the company adopts client’s objectives as its own. Additionally, the company holds significant experience working with federal regulatory agencies and is well-versed in best practices to ensure compliance. 1SEO is consistently growing its team in order to meet the demands of expanding client base. In addition to gaining new team members, the company is always testing the latest technology through its partnerships with major software vendors and finding opportunities for clients to take advantage of these new technologies.